Toasting the ‘Intellectual Godfather’ of the Conservative Movement – William F. Buckley, Jr.
It’s been exactly a decade since William F. Buckley, Jr. died. Yet, surveying the ideological landscape, it feels more like a century. Watch an episode of his program “Firing Line,” and you’ll see what I mean. There, Buckley – in his uniquely aristocratic way – would debate guests on the issues of the day. Not try to shout each other down, or trot out a quick soundbite before three or four different people cross-talked over you, but actually debate. That may sound like a recipe for boredom, and perhaps by the cage-match mentality prevailing today, it was. But we’re talking about a program that racked up more than 1,500 episodes over nearly 35 years. People were watching, listening, and engaging in debates of their own across the country. 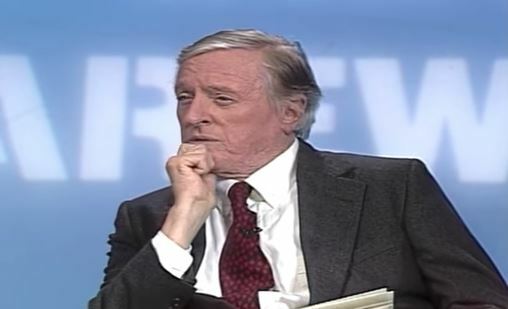 Buckley, of course, was no mere host, but an intellect of the first order who preached undiluted conservatism. Author, publisher, commentator, he bucked the liberal order by revealing the emptiness of its utopian promises. He got off to an early start, putting himself on the political map right out of college in 1951 with a bestseller called God and Man at Yale. Only a few years later, he founded National Review. It’s hard to overestimate the importance of National Review to the conservative movement. Great thinkers on the right, such as F.A. Hayek, Russell Kirk and James Burnham, were producing important books, but before Buckley’s magazine hit newsstands in 1955, no periodical was unapologetically applying conservative principles to current affairs, especially in such an urbane and witty way.